Engr. Al. Agada is the Group Head of Strategy and New Business of ARCO Group. 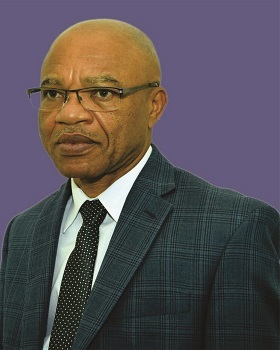 He read Mechanical Engineering at the prestigious University of Lagos and graduated in 1977 and is a Fellow of the Nigerian Society of Engineers. Engr. Agada had a long and rewarding Project Management experience at ExxonMobil covering a period of almost 30 years before he joined ARCO in 2008. He worked as Project Manager for ExxonMobil in such countries such as Malaysia, Indonesia, Venezuela, Houston-USA and Nigeria. Engr Agada is credited for the design and managing the Yoho Oil 12,400tons weight Processing Facility of ExxonMobil Nigeria. Engr Agada was seconded as the pioneer Technical Consultant to Warri Industrial Park, a public-private partnership between ARCO and Delta State Government. He re-joined ARCO in 2011 and he currently manages corporate plans, strategy and new business development functions.